But how is it not on fire? The famous arcade basketball game NBA Jam was originally released by Midway in 1993 and made available on the Super Nintendo the year after. 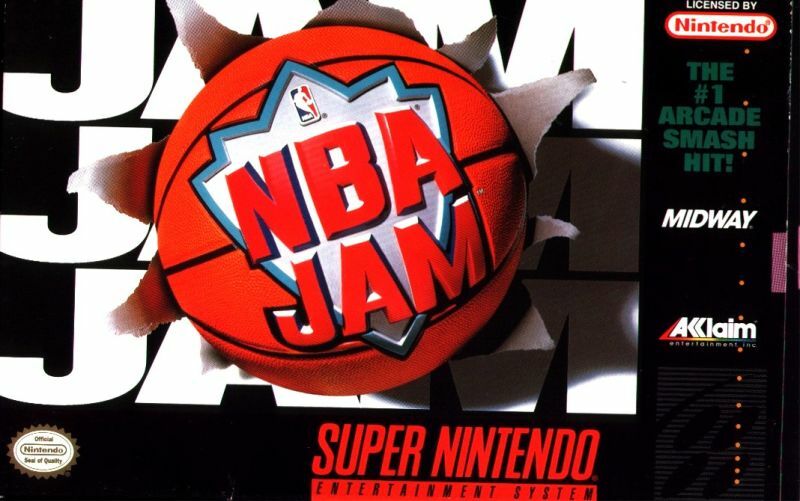 Anyone who played it will no doubt remember the game's cover art depicting a basketball exploding through a paper-like banner. For those who didn't know, this wasn't a CGI render or piece of artwork - there's actually a real-life version of this ball and it still exists to this day. As spotted by Kotaku, video game historian and collector Steven Lin recently acquired this "original prop basketball" in an auction. According to the owner himself, it was apparently used during the production of the NBA Jam box art. If you're wondering how it still looks in peak condition 25 years on, that's because it's actually a full-scale resin model. Lin says he'll be sending it off to a museum once he's done thinking about all of the adventures it's had over the years. Would like a prop such as this in your own collection of video game memorabilia? Tell us below. It's not real, the outline of the letters are NOT blue on the computer game boxes. The top lines are white and side lines are red. 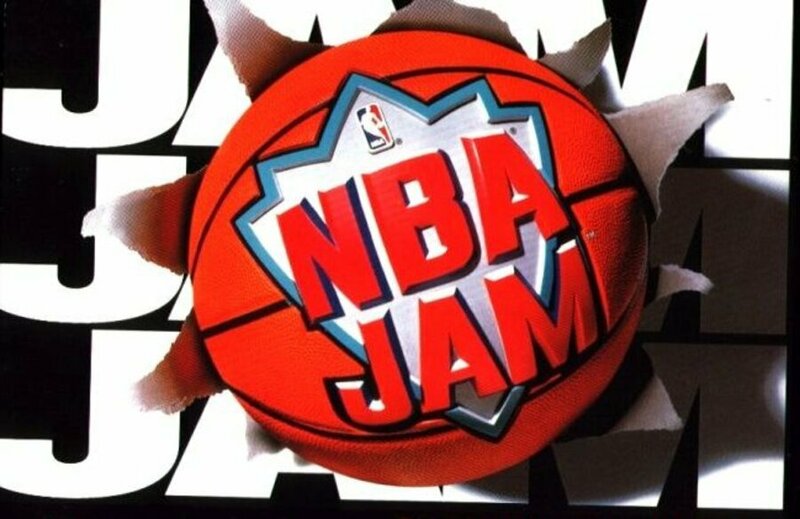 I really hope that Warner Bros can hop onto the Arcade Archives list and release the arcade version of NBA Jam onto the Switch and PS4! @Bunkerneath Yes they are, it's just that the embossing isn't always in light. Look at the N, and the top half of the M.
I also don't see the ® or the ™ in the prop ball. Seems that should have been there to begin with, not 'shopped in afterwards to make the NBA happy. @Bunkerneath I expect they took the photo for the base and then messed with the colours. They've clearly messed with the levels and saturation on it too and added the TM and such. @Ogbert Yeah they have definitely messed around with it a bit. At the very least they have added the Trademark signs at an angle to make it look as if they're on the ball. So, they've probably messed with the colours too. Odds are it's the same ball I'd say. @Dustmite72 Those seem like rather fiddly things to cast in resin accurately. Some great things can be achieved in this material (I collect and paint minis, quite a few of them resin), but it seems to me like it'll be less of a hassle to paint or photoshop those afterwards. That or they simply forgot. @SmaggTheSmug Likely they used an Amiga for photographics back then, so it wouldn't be Photoshop. But either the ball is a promotional item, or they had to alter the way the light worked in the picture by editing it. But @Bunkerneath does have a point, there are a few discrepancies and details that don't match up. @SepticLemon But Warner's Bros doesn't own the NBA Jam license EA does so it would be up to them. If you're wondering how it still looks in peak condition 25 years on, that's because it's actually a full-scale resin model. So...does that mean that it's not a REAL basketball? @Crono1973 too late, you already clicked. Undo, undo! @SepticLemon Yeah they acquired it about ten years ago to make that remake. After that thought EA has done nothing with the series which is one reason I suspect 2K snagged the NBA Playground license.